A group of high school students from Japan worked on a VR-based project for the last two years, and a few days back, their efforts met fruition as they could showcase what they were working on. It turns out that they were replicating the effects of a hydrogen bomb with special emphasis on reliving the horrific Hiroshima-Nagasaki bombings during World War II. Not only did they conduct mind-boggling research to design a virtual tour of Hiroshima moments before and after the bombing, but also had to keep the tech-based specifications in mind. That goes on to show how far we have come from the old-school chalk-and-blackboard teaching methods. Globally, education is endeavoring to blur the divides of economy, religion, ethnicity, and geographical locations, and with VR tech making the rounds, it seems like a dream-come-true after a long, long time. This post explains how VR is helping to bring about equity in education – one virtual trip at a time. Let’s face it, we are far from achieving equality in terms of resources, and as a result of the skewed distribution of the same, access to fundamental rights such as education has become difficult for many people. For schools in developing countries or the ones in developed nations that suffer from a lack of adequate resources to keep functioning smoothly, VR is that gleaming ray of hope that might end all divides. But getting VR tech is expensive, right? After all, how would schools which afford more than three teachers for middle school manage to afford hi-tech learning gadgets? Thanks to Google Cardboard, getting VR for your school comes at affordable prices with basic VR headsets costing around $10 to $15. With new and improved gadgets for schools that sustain on limited resources, VR is well on its way towards making modernized and effective education accessible for all children across the globe. She adds how classrooms these days have taken hands-on learning to a whole new level through VR and augmented reality-aided tech that helps bring lessons to life. Be it a stroll through the Grand Bazaar in Turkey or a deep-sea diving experience to study coral life, VR can help students overcome the constraints of time and space, bringing equity in the space and timeline of humankind. What used to be a boring lecture on human anatomy can now turn into a fun and informative session with a VR tour inside the human body in the science class. The same goes for languages, maths, history and geography lessons as well. VR is gradually making the erstwhile impossible come true, and the modern technological innovations coupled with widespread acceptance of VR gadgets in schools worldwide are to thank for that. VR makes learning engaging for the students, and helps them grow an emotional connection with the content. Instead of merely mugging up lessons and concepts from the textbooks, students in VR-aided classrooms can benefit from the visceral learning experiences. Since they are in their formative years while in school, developing and shaping their personalities, cognitive capacities, and psychological depth should be taken into account too. 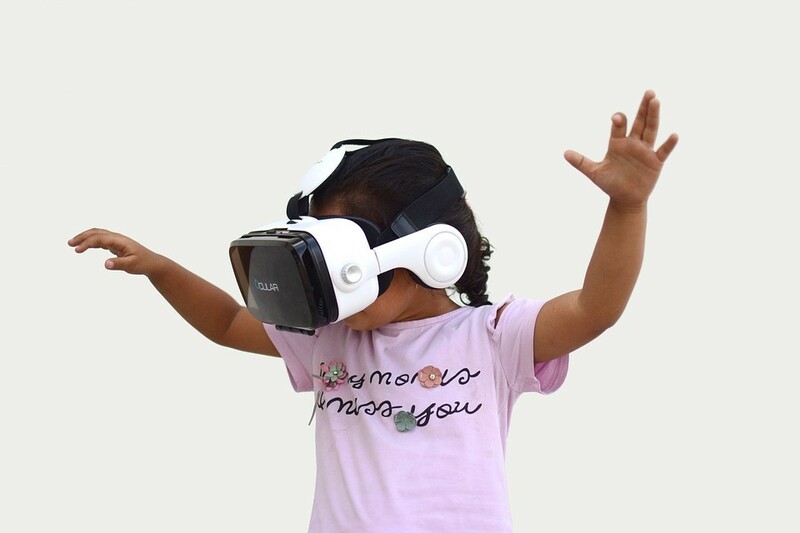 VR thus presents a whole new world to the young learners, making them connect to the learning materials strongly, forming an emotional bond that helps in overcoming their learning difficulties, if any. Studies reveal the grim picture of around 10 per cent of school children between the age of 5 to 16 show tendencies of developing severe mental illnesses, and VR in classrooms can be a great way to tackle those issues. Experiencing VR in classrooms in itself is a liberating and joyous experience. Hence it gives the right and positive learning ambience for over-all psychological development as well. In traditional classroom learning settings, technology has always been a much-needed helping hand for teachers. Right from when the first computers made its way into schools, teachers and students alike have benefited from the progressive methods of learning the technology that comes with it. The most potent sources of information in the modern age are gradually shifting from books to e-books and massive databases with cloud storage for e-learning. Students over the world encounter many difficulties in the traditional classroom settings, and VR aims at obliterating those differences. For students who have a slower pace of learning and retention than others, VR presents a fabulous alternative to traditional modes of education. With the personalised curricula designed for modern-day students, they can now pick the classes of their choice and presented themselves for the tests as and when they are ready. Since VR takes learning quite a few leaps beyond textbooks, self-paced learning aids students to achieve their fullest potential. When you learn a new language, it is best to do so in a fully immersive atmosphere. New learners benefit a lot from listening to the language spoken by native speakers, and hence it helps them pick up the nuances of the language way faster than others. However, taking a trip to Germany with your entire middle school class might seem preposterous to the school board, even if you muster the courage to propose such a trip to them. The best you can do in situations like these is to get help from the advanced tech tools that virtual reality presents you with. Virtual language immersion programs end the cultural and linguistic divide between different ethnicities. VR-aided simulations help the human brain to learn from the virtual experiences, and it is just as good as taking a tour around Berlin for a week to learn German in a month. 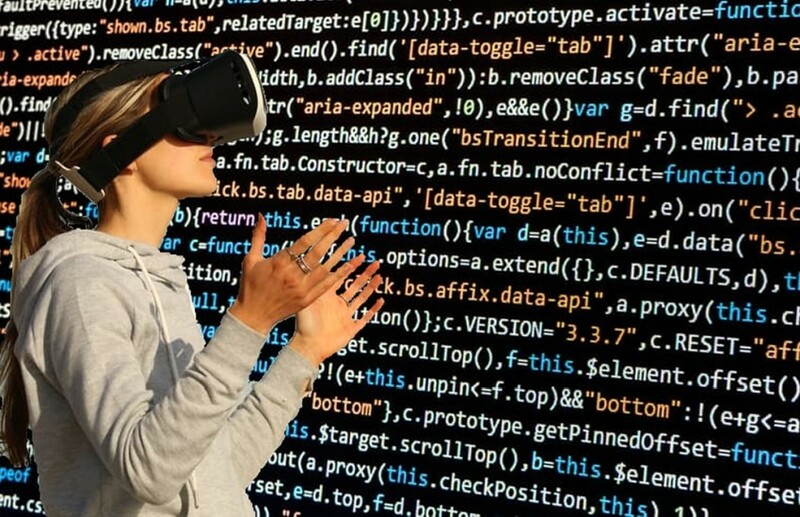 Learning applications with VR tech like Unimersiv use an Oculus Rift VR headset and is a cost-effective solution for educational institutions. Making learning about different languages and cultures an achievable goal, VR is gradually helping blur linguistic and cultural barriers too. Graham Morissette from Maine, USA, was barely 8 when he passed away with a serious case of leukaemia. That was 1997, and Graham really missed going to school during his last few days on the planet. Thanks to the indomitable spirit of Graham’s parents, terminally ill students can now continue with their education, even from hospitals or from the comfort of their homes. The Grahamtastic Connection, matching steps with evolving tech trends, offers a virtual way out of the fix that students with acute illnesses can overcome easily. Using VR headgears, students who are too ill to attend classes can now take a virtual tour around the classroom and get important updates on the day’s lessons. Teachers are using a helpful combination of VR and augmented reality to incorporate engaging ways of imparting lessons, and students of the modern age would do well to ride the technological upsurge. Conquering physical hurdles is not a distant dream anymore, all thanks to the advancements in VR tech. VR is as real as real gets. Students find the immersive experience to be fun and engaging, and it helps teachers to develop unconventional methods of teaching to keep up the standards of education. VR helps in transcending limitations of geographical barriers, trauma and mental health issues, illness, economic disparity, and linguistic diversity through a real-world, hands-on learning experience in classrooms. VR and augmented reality have promises of a future where education will be accessible for children all over the globe. Here’s to looking forward to the positive changes that VR brings about in the global education system – future ahoy! Valentina Belle, is a renowned academician based in Melbourne, offers prompt assignment help through MyAssignmenthelp for students facing distress with their studies. She has a blog where she likes to write about the current trends in science, technology and education.